We’d love your help. Let us know what’s wrong with this preview of The Gollywhopper Games by Jody Feldman. Gil Goodson's future happiness depends on winning the Golly Toy & Game Company's ultimate competition. If Gil wins, his dad has promised that the family can move away from all the gossip, false friends, and bad press that have plagued them ever since "The Incident". Inside the toy company's fantastic headquarters, Gil will have to master trivia, solve puzzles, and comp Gil Goodson's future happiness depends on winning the Golly Toy & Game Company's ultimate competition. If Gil wins, his dad has promised that the family can move away from all the gossip, false friends, and bad press that have plagued them ever since "The Incident". Inside the toy company's fantastic headquarters, Gil will have to master trivia, solve puzzles, and complete physical stunts—and he'll have to do better than all of the other kids competing. 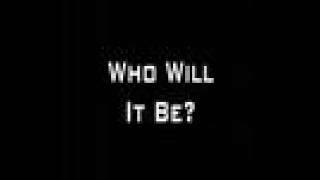 To ask other readers questions about The Gollywhopper Games, please sign up. Is there a 2nd book to The Gollywhopper Games? Or is there multiple more books to The Gollywhopper Games? Emily There are 3 Gollywhopper Games books. "The Gollywhopper Games: The New Champion" is number two. "The Gollywhopper Games: Friend or Foe" is number 3. To Be Read at Least 5 Times Kinds of Books! This is one of the most fun and easy to recommend books I've read in a long, long time. It's like a Charlie and the Chocolate Factory for a new generation, set in a toy factory, rather than chocolate, and with much more satisfying games. Gil is trying his hardest to get into The Gollywhopper Games, a contest sponsered by Golly Toy & Game Company. The winner gets all kinds of money and great prizes, but what Gil is hoping to win is some self-respect. His dad used to be an employee of Golly bu This is one of the most fun and easy to recommend books I've read in a long, long time. It's like a Charlie and the Chocolate Factory for a new generation, set in a toy factory, rather than chocolate, and with much more satisfying games. Gil is trying his hardest to get into The Gollywhopper Games, a contest sponsered by Golly Toy & Game Company. The winner gets all kinds of money and great prizes, but what Gil is hoping to win is some self-respect. His dad used to be an employee of Golly but he was wrongfully accused of stealing and the family's life has never been the same. Gil figures if he can win the games, he can save their reputation...or have enough money to leave town. The Gollywhopper Games is a trivia, puzzle, and stunt contest based on toys and games that Golly sells. Who better to win than someone who's known the company forever? This is a fun read. It reminds me of both Charlie and the Chocolate Factory and The Westing Game. Lots of fun word and number puzzles to solve along the way. Put it in the hands of any 10-year old boys you know. Y'all. So. This one is a serious contender for Emily's Favorite New(ish) Children's(also ish) Book. Right up there with The Mysterious Benedict Society, with a large margin over Escape from Mr. Lemoncello's Library. Inspired by a young reader looking for a comparable book to Charlie and the Chocolate Factory, this book takes the reader on a similar journey of said Charlie Bucket, but with a modern twist. Child with sad backstory? Check. Supporting children with one glaring personality aspect and Y'all. So. This one is a serious contender for Emily's Favorite New(ish) Children's(also ish) Book. Right up there with The Mysterious Benedict Society, with a large margin over Escape from Mr. Lemoncello's Library. Inspired by a young reader looking for a comparable book to Charlie and the Chocolate Factory, this book takes the reader on a similar journey of said Charlie Bucket, but with a modern twist. Child with sad backstory? Check. Supporting children with one glaring personality aspect and a parent to match? Check. Spoiled rich kid? Check. Child obsessed with TV? Check. Quirky runner of company with attachment to protagonist? Check. Zany room filled with things they had never imagined? Check. Prize of a lifetime? Check. I'm probably missing a few things there, but that's where the most glaring similarities end. The supporting cast were a little deeper than Dahl's. For example, child obsessed with TV also had an appreciation for history, too. I have my heart set on hoping she would become a history teacher. The supporting cast grew as characters, and not just by a stretching machine, if you know what I mean. Each one came away with a unique lesson that they learned, and on their way to being a better person. I loved Gil's rapport with his parents. Each time they said "good-bye" just showed how strong their relationship with him was. I loved each line of suspenseful prose (and poetry) throughout the story, as well as the creativity and inventiveness in the puzzles and stunts. I picked up this gem of a book Monday night and finished 2 hours later. This fast paced, 308 page, children's fiction book revolves around Gil Goodson and his hopes to be able to participate in the Golly-Whopper Games. This book had a VERY familiar feel...Charlie and the Chocolate Factory came to mind, and in the back of the book the author says she wrote it because a child wanted a book like Charlie and the Chocolate Factory and nobody could find one for him. Keeping in mind this book is set in I picked up this gem of a book Monday night and finished 2 hours later. This fast paced, 308 page, children's fiction book revolves around Gil Goodson and his hopes to be able to participate in the Golly-Whopper Games. This book had a VERY familiar feel...Charlie and the Chocolate Factory came to mind, and in the back of the book the author says she wrote it because a child wanted a book like Charlie and the Chocolate Factory and nobody could find one for him. Keeping in mind this book is set in today's time, teen lingo and attitudes reflect it, but it isn't obnoxious. In fact, I grew to like each character for what they were. Jody Feldman does a great job with development of characters and like I said, it flows so well, I couldn't put it down! This book contains several FUN puzzles to solve. Now, I am one who loves these kinds of puzzles and so it was really fun to try to figure them out on my own as I read. Reading this book to students and having them try to figure out the puzzles would be SO MUCH FUN! I hope they turn this into a motion-picture. And when I say they...I mean my brother. GO FOR IT! Great book from a boy's point of view. Different parts of the book focus on cheaters, friendships, & overcoming situations. This book is intense and exciting. Interesting puzzle, adventure book for juveniles. Reminiscent of Willie Wonka in that the children compete in a surreal environment for the ultimate prize. This might have been a book where the reader could work on the puzzles along with the contestants but more often than not information was not given in order to do so. Still, it was interesting to see the children's thought process in arriving at the solution - or not. This review has been hidden because it contains spoilers. To view it, click here. This book was ridiculously cute. It was fast-paced and full of interesting twists and turns. I picked this one up after hearing at ALA that the teens loved it, and I can see why: it's a modern take on the Charlie and the Chocolate Factory story line, but it's much less dark. The puzzles are fun and challenging to the characters and to the readers. My one issue with the book is that it hinges on a strange idea: that the child of an employee (in this case, former employee) of a company can parta This book was ridiculously cute. It was fast-paced and full of interesting twists and turns. I picked this one up after hearing at ALA that the teens loved it, and I can see why: it's a modern take on the Charlie and the Chocolate Factory story line, but it's much less dark. The puzzles are fun and challenging to the characters and to the readers. My one issue with the book is that it hinges on a strange idea: that the child of an employee (in this case, former employee) of a company can partake in a huge event the company sponsors. I know the story isn't realistic, but this little fact is what holds the entire storyline together and that's a little frustrating for me. But any 10 year old reading this would totally accept it. Twelve-year old Gil Goodson is ready to join the Gollywhopper Games. After months of being in the shadows of his father being wrongly accused of embezzling money from the Golly Toy and Game Company, the time has come to set things straight. It’s the 50th anniversary of the company and Gil thinks that if he can win the grand prize his family will be able to move out of town and be rid of “The Incident” and start fresh. Through challenging puzzles and riddles, tricky trivia, and crazy stunts, he c Twelve-year old Gil Goodson is ready to join the Gollywhopper Games. After months of being in the shadows of his father being wrongly accused of embezzling money from the Golly Toy and Game Company, the time has come to set things straight. It’s the 50th anniversary of the company and Gil thinks that if he can win the grand prize his family will be able to move out of town and be rid of “The Incident” and start fresh. Through challenging puzzles and riddles, tricky trivia, and crazy stunts, he competes against thousands of other kids to try and win. Gil has planned, studied, and is ready for the big day. Not only will it take the knowledge he has of the Golly Toy Company to win, teamwork will play a key role to his success. Unexpected twists and turns will be present throughout this novel. Get your thinking caps on and get ready to solve some puzzles with Gil! • Find out what company makes your favorite toy. Write a note to them telling them why it’s your favorite. Visit the official Gollywhopper site! My wife recommended this book to me, and I thought there was no way that I would actually enjoy it. But, I started in on it anyway. See, I'm not a fan of puzzles. Hate 'em. And, she told me that there were many puzzles and adventures in this book. I kind of glossed over the puzzle bits, but enjoyed the adventures and the vivid characters. So, yes. It's a good book. A nice, fun story. But, I have to say, If I had known that the actual adventure doesn't start until after the 10th chapter, I would h My wife recommended this book to me, and I thought there was no way that I would actually enjoy it. But, I started in on it anyway. See, I'm not a fan of puzzles. Hate 'em. And, she told me that there were many puzzles and adventures in this book. I kind of glossed over the puzzle bits, but enjoyed the adventures and the vivid characters. So, yes. It's a good book. A nice, fun story. But, I have to say, If I had known that the actual adventure doesn't start until after the 10th chapter, I would have started there. That's when the actual Games begin. Before that, there is just a lot of set-up. Who is this kid? Why's his dad in trouble with the law? As far as I'm concerned... Who cares? This book was really interesting.It's about hundreds of kids who all want to win 1 game.The winner becomes a millionaire-and famous.Out of all of them,ten get selected.Out of ten,five.One of these 5 will become rich,while the rest-bye bye.I was WAITING to see who it would be,and was near screaming when Gil got knocked out.I recommend this book to anyone who likes realistic fiction and fantasy. Take Charlie and the Chocolate Factory, put it in a toy company, and add in a dash of social commentary, and you get this book. Not a bad read, even with the obvious nods to past ideas, and it’s one I’ll give to kids in a flash. One Sentence Review: If I could slap a big label on any book with the word "Fun" it would be this one, no question. I really liked this book. It reminded me a little of Charlie and the Chocolate Factory, but was different enough to be orginal. Myah's reading this for her literacy class & told me she really thinks I should read it too. :) So I did, and it was actually quite good! 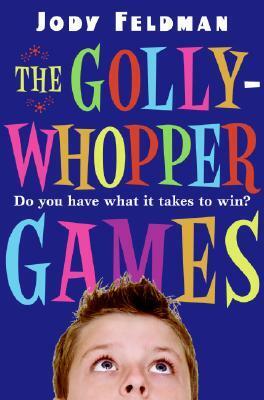 The Gollywhopper Games, by Jody Feldman is a great book for a light fun read or just a book to read and get into. Because the book is pretty much straight forward it would be more difficult for experienced readers in book clubs to talk about but for 3rd-4th grade level book clubs, it’s fine. Although the book is geared towards kids it is fun for parents to read along with. The Gollywhopper Games is mystery/realistic fiction. This book is the first of a three book series; The Gollywhopper Games, The Gollywhopper Games, by Jody Feldman is a great book for a light fun read or just a book to read and get into. Because the book is pretty much straight forward it would be more difficult for experienced readers in book clubs to talk about but for 3rd-4th grade level book clubs, it’s fine. Although the book is geared towards kids it is fun for parents to read along with. The Gollywhopper Games is mystery/realistic fiction. This book is the first of a three book series; The Gollywhopper Games, The Gollywhopper Games -The New Champion, and The Gollywhopper Games-Friend or Foe. One of the things that makes this book 5 star for me, is how unlike many good books start off, from the first sentence you are on your toes. This book gives the information needed but is not slow or boring. It is exciting and fun, but not confusing. A great thing that can be picked out of this book is the life lessons it teaches. All sorts of good qualities every person should have are found here. Throughout the entire story the main character, Gil shows teamwork, patience, including others, leadership, forgiveness, and perseverance. Feldman uses another character, Rocky to show how all these characteristics pay off and end up helping you in the long run, and not using these characteristics is harmful. Lastly, cheating is a big motif in this book, you can read it and take away knowing that cheating is wrong and makes everything so much harder than before. The second thing that I loved about this book is how easy and fun it can be to connect with the characters and put yourself in their shoes. With it being a mystery book, as the characters compete you can also try and figure out the riddles and challenges. If you're like me you'll enjoy solving the riddles and then urging them on to solve them. Overall, I would recommend this book for everyone to read at least once. It is relatable to books from Chris Grabenstein and Donald J. Sobol. This book, is one that you can pick up and not want to put down, but the chapters are made easy to read only a little bit- stop- and pick up later on. It shouldn’t take to long to read. I find it very well constructed and would recommend it to anyone! I read this novel with a seventh-grade boy who seemed to enjoy it. I found the plot to be quite lacking. The plot doesn't matter, of course, because the point of the story is to solve puzzles and win the game. There's supposed to be intrigue about the protagonist's father being guilty about something, etc. That's all really flimsy to me, especially the big reveal at the end. There's supposedly suspense over whether or not the protagonist with get into the competition in the first place and whethe I read this novel with a seventh-grade boy who seemed to enjoy it. I found the plot to be quite lacking. The plot doesn't matter, of course, because the point of the story is to solve puzzles and win the game. There's supposed to be intrigue about the protagonist's father being guilty about something, etc. That's all really flimsy to me, especially the big reveal at the end. There's supposedly suspense over whether or not the protagonist with get into the competition in the first place and whether he will win in the second place. But of course he does. So, there's not much plot. There are lots of puzzles, which do challenge you to picture complicated sets and things in your head. This is a cross between The Westing Game and Charlie and the Chocolate Factory in flavor. Not quite the classic level of writing as these two, but pretty good nonetheless for an older middle school reader that likes solving puzzles. It is the story of a boy whose father was wrongly accused of theft and fired. The boy became alienated from his friends and classmates because of the subsequent teasing. The family does not have the funds to move away. The boy now has a chance to be in a competition This is a cross between The Westing Game and Charlie and the Chocolate Factory in flavor. Not quite the classic level of writing as these two, but pretty good nonetheless for an older middle school reader that likes solving puzzles. It is the story of a boy whose father was wrongly accused of theft and fired. The boy became alienated from his friends and classmates because of the subsequent teasing. The family does not have the funds to move away. The boy now has a chance to be in a competition at his father's former employer and win "fame and fortune". It has fun puzzles with little plot twists. It has more interest than a lot of other older children's titles. Recommended, but not likely to become a classic. Could you imagine how cool it would be to move into your dream house and be richer than you have ever imagined? Gil has that opportunity in this book but first he's got to outsmart every other kid in a nationally televised competition put on by his toy company. I think this is a very good read for kids that are transitioning from shorter chapter books to more challenging reads. A fun book about a puzzle-based competition that was recommended by one of the kids. The general consensus was the beginning was too slow and they wanted more of the actual puzzles in the story, but it was a very good book and they liked the character development. Excellent middle grade romp. Very clever, cleanly written, engaging plot, and almost magical in many elements. Charlie and the chocolate factory meets maze runner. Fun! This was fun. I would recommend it for fans of Mr. Lemoncello's Library. It was a very fun book, in related news... I will be reviewing soon and in longer reviews. Henry out! Similar to Mr. Lemoncello. Fast and fun, puzzles to solve and likable characters. Perfect for a young boy who loves adventure and doesn’t love to read. It kept my son engaged and excited. We’ve enjoyed talking about the Gollywhopper Games together. If you like "Mr. Lemoncello's Library" or "Charlie and the Chocolate Factory." An obvious, fun "next read." This book is about the son of a suspected criminal who has to win the Gollywhopper Games if he wants to win a bet with his dad. The Gollywhopper Games is a competition for kids ages 11-15 run by Golly Toy and Game Company. There are multiple disqualification rounds, getting harder each time until there is only one winner left. All of the rounds are themed around Golly Toy and Game Company. I liked that each challenge/task showed the strengths and weaknesses of the different characters and how they worked through that. This really helps with the character development of each person and it helps you relate to the characters more. I also enjoyed the fact that Gil, the main character, had a strong objective to join the competition other than toys and money. His dad is suspected to have stolen money from Golly Toy and Game Company and Gil gets harassed about this at school so he wants to move away to get away from the embarrassment. This is important because it makes you feel sorry for the Gil and makes you want him to win because he has a genuine, important reason to win. I would recommend this book to anyone looking for a light-hearted and reasonably easy to read book. This book hooks you from start to finish, is fast paced, and makes you cheer for the main character and his friends (unless he’s competing against them of course). Jody Feldman never knew she always wanted to be a writer when she grew up. If you’d cornered her as a kid, she’d have mentioned doctor or teacher, but that was just an answer. Her passions ran more toward treasure hunter, codebreaker, movie director, or inventor, but her practical side couldn’t imagine how to get there. Her path to writing meandered through the University of Missouri School of Jou Jody Feldman never knew she always wanted to be a writer when she grew up. If you’d cornered her as a kid, she’d have mentioned doctor or teacher, but that was just an answer. Her passions ran more toward treasure hunter, codebreaker, movie director, or inventor, but her practical side couldn’t imagine how to get there. Jody’s first children’s novel, The Gollywhopper Games received the 2011 Georgia Children's Book Award and the 2011 Grand Canyon Readers Award, and found its place on many other state lists. It also received the Kids Wings Award for Excellence in Children’s Literature and the 2008 Midwest Booksellers Choice Awards Honor for Children’s Literature. Her second, The Seventh Level (both books from HarperCollins/Greenwillow) debuted on the Summer 2010 Indie Next List and received the 2011 Missouri Writers Guild Show Me Best Book Award. Upcoming, thanks to popular demand, two follow-ups to The Gollywhopper Games.